You see, we live in Georgia now and these southern folks start the school year very early and start and end the day in the same way. Pick up at school is 2:20 pm and has a very long line of cars waiting by 2:15 (Southern Moms are no joke). While in line one day last week, I decided to do a Facebook Live. I had just come from doing our weekly live webinar, 3daysto10k.com, and it had gone wonderfully. Great show-up rate, fantastic engagement while on the webinar, and more students enrolled in our program than we had during one hour online ever before. Instant social proof that wasn’t planned, but oh… so…. A-mazing. Those folks made the case why viewers should sign up for the webinar for me. So I gave the video to the most talented Kelly LeMay, our Powerful Professionals Facebook Ads Master, and she turned that Facebook Live into an ad targeting a lookalike audience of our current members. And friend, this ad is CRUSHING it. We are getting opt-ins for less than $3.00 each. And a “Relevancy Score,” (Facebook’s version of your Uber Rating) of 9 out of 10. I’ve repeated this strategy of Facebook Live to advertisement a few times now and it keeps on working. This is definitely a shiny object worth testing. 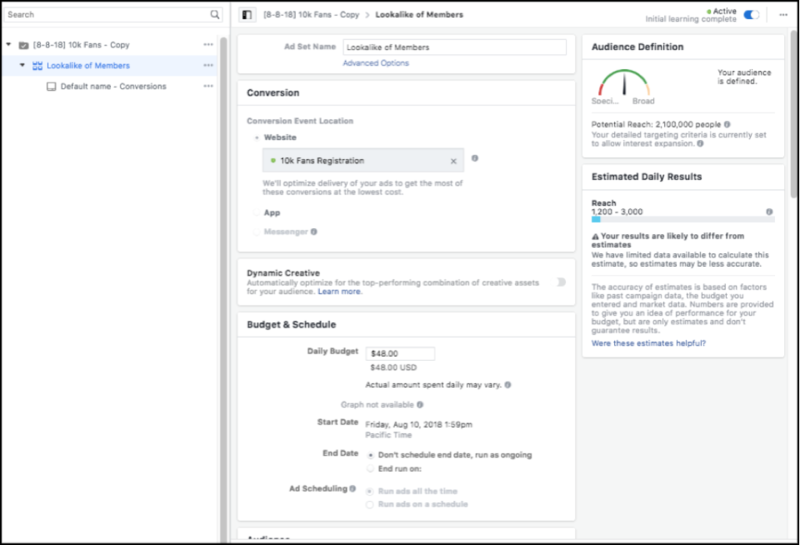 Try testing a Facebook Live to Ad strategy in your next campaign. NOTE: Do you want a hack that’ll add six-figures to your business? We just announced the two-day six figure summit. Click here and check it out! Wow, IF only we could be as good and as luck as you Kim. You bet you can! Take the bull by the horns and try implementing some new tactics.